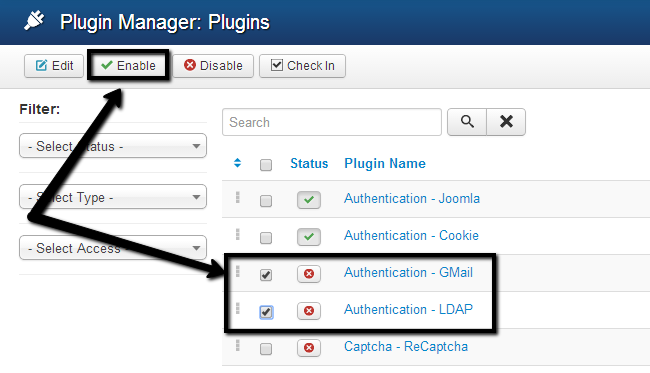 This tutorial provides insights about managing plugins in Joomla. The process is simple and you will easily complete the steps highlighted in this tutorial. Log into your website as administrator and navigate to the Extensions button at the top menu and then Plugin Manager. Once you access the plugin, you will be presented with a number of different options. Depending on the plugin and it’s purpose, those options will be different. 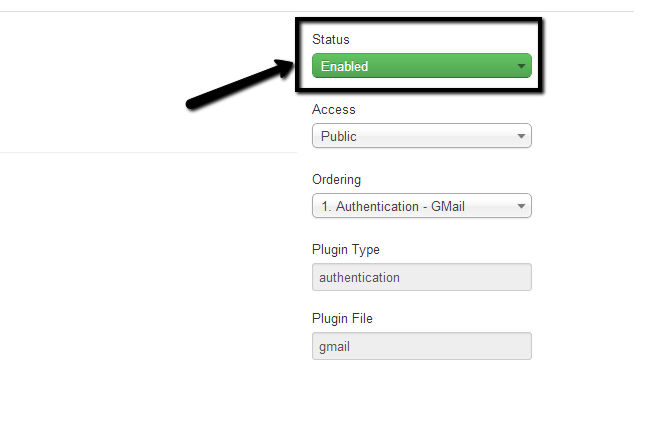 Locate the Status section of the plugin and change it to Enabled or Disabled, depending on your choice. Joomla also provides an option to change quickly the status of your plugin allowing you to select and manage two or more plugins at the same time. To do that, log into your website as administrator. Then simply navigate to the Extensions button at the top menu and then Plugin Manager. Click on the checkboxes next to the plugins that you wish to Enable/Disable. When you select the plugins, simply click on the Enable or Disable button at the top, depending on the action that you wish to complete.